Sustainability starts at our drawing tables, in which we research together with our customers how to produce products smartly, efficiently, economically ánd solidly. Our production process is aligned to that from the wish to save sources, energy and water. We do this by investing in durable innovation and skilled personnel. In our sector, which so clearly evolves around resources and energy, responsibilty to produce durably is huge. 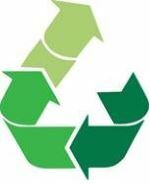 By up-cycling scrap metal our sector accomplishes a durable activity. Since foundry products in itself are capable of infinite recyclability, Nannoka Vulcanus adheres to the reuse of over 95% of resources. From the nature of our production process we self-evidently aspire to save energy continuously. Nannoka Vulcanus complies to the multiannual agreement for energycare in the Netherlands. Nannoka Vulcanus is aware of its influence locally and worldwide. From our social responsibility we work with traceable resources. From the 'lean' priciple point of view we optimalise transport, storage, quality, use of energy and the production process. Together with regional and local administrations we are always looking for methods to control and reduce our ecological footprint.